on most phone plans that are on telmex now calls to the usa are free. Except toll free numbers in the usa. there is more information about phones and so on under general and then misc. a. I would like to add to your comments about the new Telmex billing system. 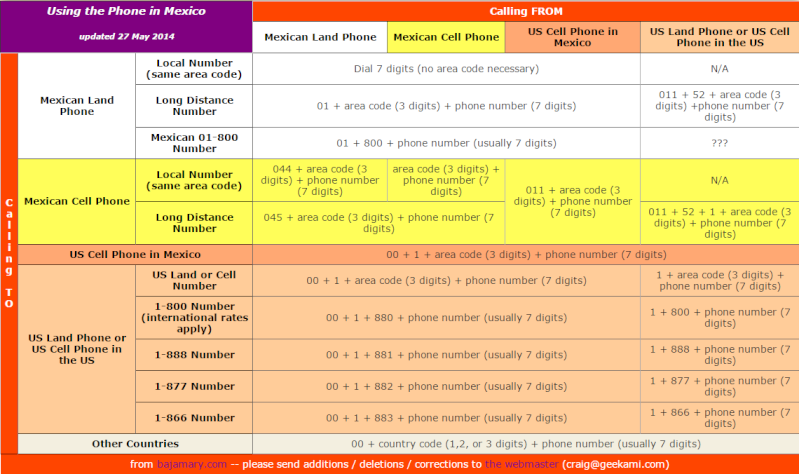 To call long distance from the US (or other foreign country) to a Mexico CELL phone you now need to dial 011+52 (country code)+ 1+area code+number. For example my number would be 011521612145-0050. If you are calling from the states to a Mexico land line, the "1" between the "52" country code and the area code is omitted. You would dial 01152612145-0050. Of course this is a big problem since people may not know whether your phone is a cell phone or land line.